With the arrival of a farmers market in more recent years, her loyalty has strayed. The bakery is still there, but while their honest loaves are perfectly good, they pale in comparison to the six-seeded spelt, rustic rye and ancient sourdough on offer around the corner every Saturday morning. While I’d have to agree that the market-bought breads are delicious, exciting and most likely more expertly made than those from this bakery, I still have to sneak a peak in the window every time I pass to see what’s on offer, for old times’ sake. One bagel is never enough . . . Behind the counter are two or three shelves stacked high with loaves, while in the window sit trays of old school treats – giant iced buns, cinnamon swirls, different types of tart and shiny glazed doughnuts piled high. It wasn’t often we had these sorts of snacks as kids, but I do remember a couple of occasions when we’d be allowed a chocolate doughnut as a special after school indulgence. Simpler than their jam-filled cousins these consisted of a soft, sweet ring of dough, bread-like in texture with a cracked chocolate glaze and just enough grease to slightly seep through their brown paper packaging on the (hurried, no eating in the street for us) journey home. The first bagel I ever ate reminded me of a bad version of those doughnuts. Taken from a plastic multi-pack and sliced in half it was shiny, solid and almost too tough to eat. A few minutes in the toaster helped it to develop a softer, more bread-like texture but the dough still tasted somewhat stale and slightly too sweet. It wasn’t inedible, but felt a little like a doughnut masquerading as something more wholesome in a bland, ineffective way. I’m not normally an either/or sort of a girl but a thought lodged itself firmly in my head that day – why eat a bagel when it’s essentially an inferior version of a doughnut? Because, of course, it isn’t. As you may have guessed, my first foray into the world of bagels wasn’t the best introduction. Judging the bagel by a plastic bag of mass produced product with a shelf life of weeks is a little like comparing Mighty White to a crusty artisan cob. You can’t. So when I saw that this month’s Fresh From the Oven challenge was to make bagels, I jumped at the chance to try my hand at something a little more authentic. After trawling various articles and foodie sites, I discovered that bagels have been sold in Brick Lane since the mid nineteenth century and were taken to the US by immigrant Polish Jews where – as is often the case – they were reproduced and super-sized; a New York bagel is an enormous thing compared to its smaller, British cousin. A good bagel should be dense but not heavy, curiously chewy and slightly crispy on the outside with yeasty notes, an ever-so-slight sweetness and a good hole structure. More than just a ‘roll with a hole’, the bagel is an art form on which essays have been written and over which battles have been fought. Boring and bland the bagel is not. My first experience of baking these little round rings has been a good one. Poaching bread is pretty bizarre, but lots of fun as you flip the floating rounds of dough, and an absolute must to achieve the taste and texture you’re looking for here. Fresh from the oven these bagels are sublime, but anything over an hour after baking and I’d suggest toasting them to feel the full benefit of their doughy goodness. I didn’t give mine an egg wash hence the slightly more anaemic looking crust, but if you’re looking for more of a golden colour, do give them a brush before baking. We ate ours straight from the oven with nothing but butter, then again for breakfast the next day with smoked salmon and scrambled eggs. Salt beef or cream cheese are other classic fillings, or try them toasted and spread with avocado mashed with coriander, lemon and a little chilli. Anyone with a sweeter tooth will appreciate the joy of spreading these with peanut butter and jam or Nutella, nuts and chopped banana, and you can also amend the recipe below to use different seeds – caraway, fennel, poppy – or stir in slightly more unorthodox additions; raisins, cinnamon, blueberries etc. While these bagels are definitely a work in progress, they’re delicious enough to convince me to make them again, and to separate them entirely from the pappy versions I’ve eaten in the past. If you’ve never made your own bagels, I urge you to give them a go. And if you haven’t heard of Fresh From the Oven, click on the link to find out a bit more about this brilliant baking community, and how you could get involved. Mix together the flour and salt in a large bowl. Stir in the sugar, yeast, rapeseed oil and warm water then bring together as a dough and knead until smooth, shiny and elastic – about 10 minutes. Cover the bowl and set aside to rise and double in size – about one hour. Preheat the oven to 200 degrees C. Remove your dough from the bowl and divide into equal balls – 8 if you’re making normal size bagels or 16 for the mini versions. I made a mixture of both but do bear in mind you’ll need to allow for this when working out your baking times. Roll each round of dough into a smooth ball, cover with a cloth and leave for a further 20 minutes. Now shape your bagel. The easiest way is to stick a wooden spoon in the centre then stretch it out slightly with your fingers. I think it’s more authentic to make them out of rolls, but this is the way that works for me. Preheat the oven to 200 degrees C. Bring a large pan of water to the boil and add your malt extract. Drop in each bagel, leave for five seconds, then flip over and leave a further five seconds before removing. 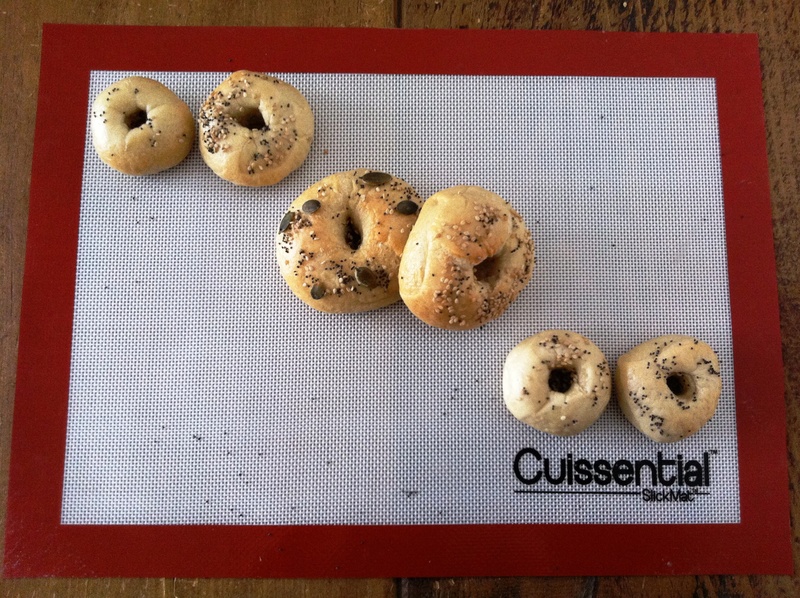 Place the poached bagels on an oiled tray, sprinkle with seeds and bake for 10-15 minutes if they’re mini, 15-20 minutes for a standard size, or until golden in colour. Remove from the oven and allow to cool slightly. Eat. Or toast, then eat. Enjoy. Yours, my dear, look sublime. I was spoiled for life in that the first two places I ever ate bagels were New York and Montreal, both famed for them. I love the chewiness of a bagel and the only thing I liked about the brief time I spent living in North East London was the decent cheap bagel shop nearby. I’ve been meaning to make them for ages, but had got the idea in my head that they were really tricky (even though I’m a dab hand at soft pretzels) but you’ve convinced me. Now, who to invite for brunch? When I don’t have time to bake my own we always buy good quality bread – it is so worth it. Remember, crap bread is still crap even if it has seeds in it… they just umm… perfume it. 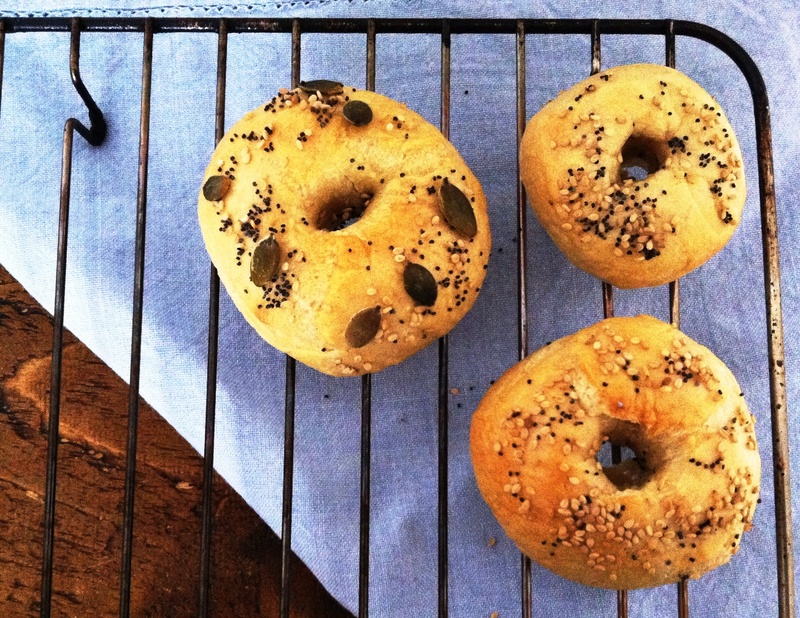 These bagels could in no way be described as crap – they look wonderful, Loaf! I only had my very first bagel about a year ago and, like you, I didn’t see the appeal at first although they’ve grown on me since then. I think the next step up is to trying making my own! I can completely relate to your first bagel experience. I too was slightly puzzled as to the appeal of these dry, tough creations. I have never had the luxury of a proper, homemade bagel but they’ve been on my ‘to make’ list for years. Someday soon I hope – I love the idea of boiling the dough then baking it to a golden, chewy yumminess. My favourite bought bagels are Sainsbury’s multigrain ones, that come in a pack of 4 from the bakery section. I love seeds on bagels, so yours look extra good! Love bagels but never tried making them. Yours look delicious and may inspire me to give it a go! I have baked bagels at home a few times already but I wasn’t 100% happy with the results. Generally they are not soft and chewey enough! I will definitely try your recipe next time! Pumpkin bagels. Mmmmm… they look delish! Bagels, as soon as it gets warmer in this house I MUST make bagels and these looks just like the ones! Yum! My kids (and husband) love crappy bagels from the grocery store, alas. But I might have to make these for myself. I can only imagine how wonderful these must have been straight from the oven! I can almost taste the theme … with gravlax and cream cheese – yumm! I love bagels and yours look so good. Love all the seeds and they remind me of the everything bagels you find over in New York. Delicious! There is really nothing better than a fresh bagel and cream cheese on a weekend morning! I am getting back to bread baking… I’m glad to have bookmarked this site because I can get ideas and recipes from here! These bagels look amazing! The first time I went to the US that’s what I lived on. Bagels and schmear. They were very happy days. Mmmmm!! Those would be stupidly perfect with a nice pickle and some cream cheese! I love homemade bread! I’ve never tried bagels though. Maybe I need to make this my first recipe to try? They look scrumptious! Thank you for taking part in FFTO this month. Don’t forget to email me the link/photo etc. Glad you enjoyed this introduction to bagels. 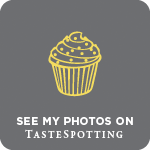 Nuts About Food – ah, thank you! Amee – haha, do give them a go, I’m sure you won’t be disappointed! Miss South – me please! I’ve never had a Montreal bagel but would love to try them for comparison. Elly – thanks. I never really buy bagels but I’d definitely make them again, they’re so good fresh out the oven. 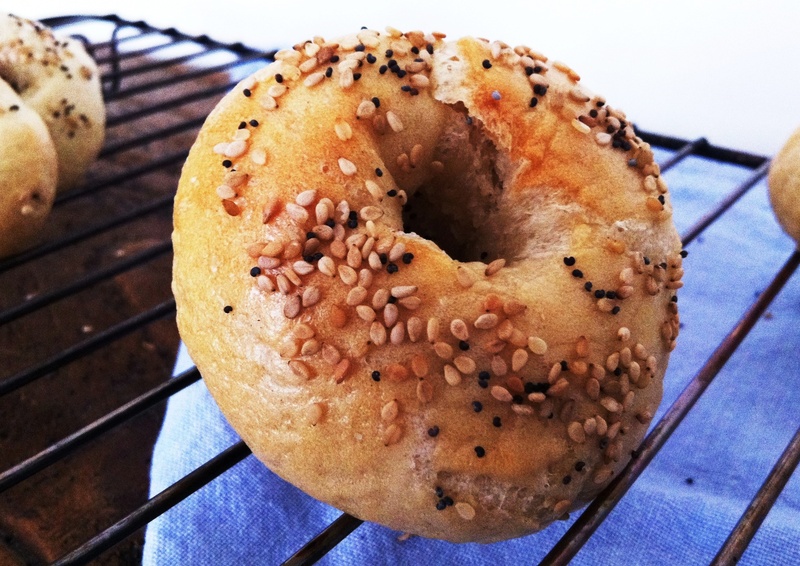 Lorraine – it seems from most peoples’ comments that bagels are a grower! Single Gourmet and Traveller – thank you, so pleased to have inspired you! Mondomulia – do let me know how you get on! Heike – that would be a delicious topping! Becs – I promise they aren’t that difficult! Margarita – let me know how you get on! Russell – you definitely should! Lisa – I love the extra crunch of these seeds and the sesame adds a lovely flavour. Purely Food – it was a great challenge. Looking forward to seeing what February brings! Larry – so glad you liked them! I’m with you here – I didn’t know what all the fuss was about until I made my own. I LOVE the shape of yours…a really generous, curvy look. 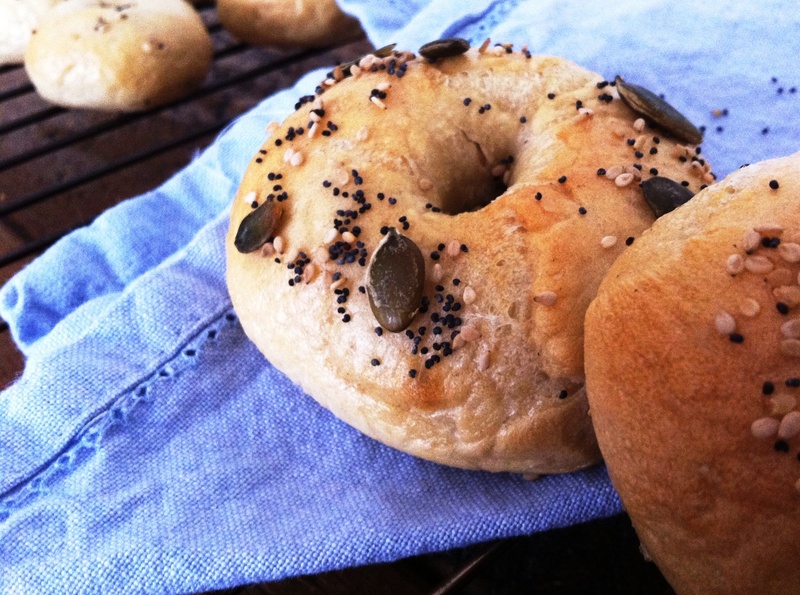 Great looking, plump bagels! Glad you gave bagels a second chance. Home-made is always better than the store bought kind. These have character! And I like the quirky photos. 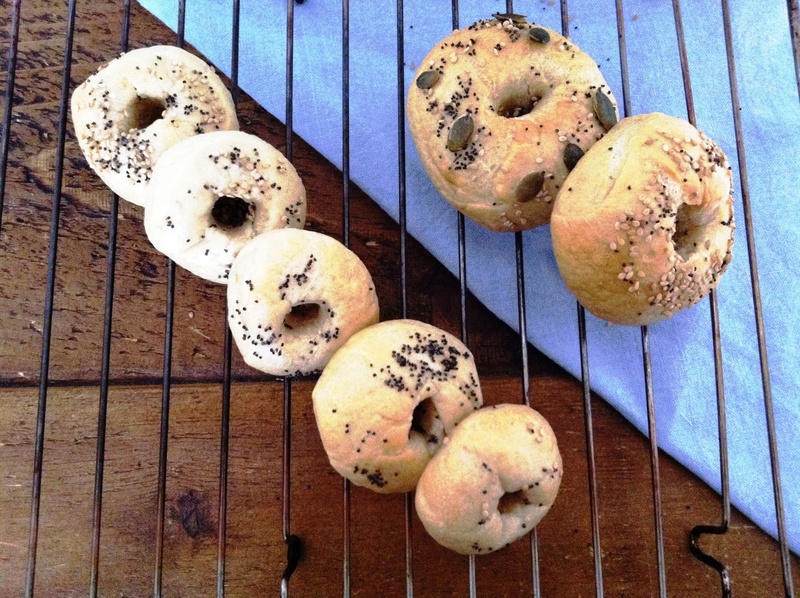 I’ve always wanted to make bagels and these sound wonderful! They look professional!